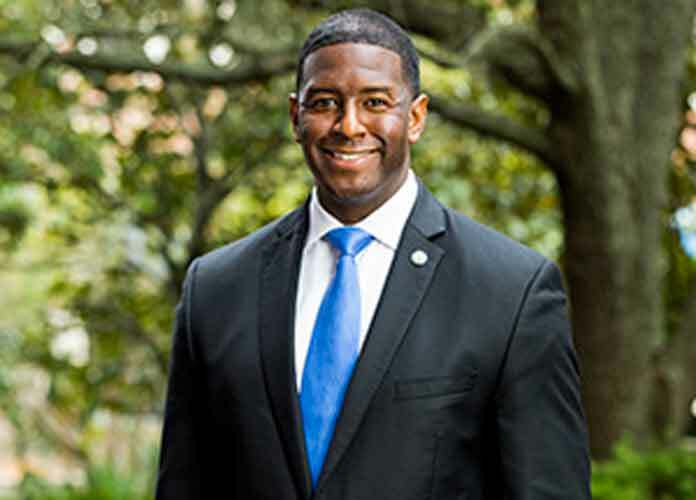 Andrew Gillum revealed on Wednesday his plan to stop President Donald Trump from being re-elected in 2020: register and turn-out one million new voters in Florida and turn them out to vote. “Voter registration is red flag No. 1,” the 39-year-old Democratic former Tallahassee mayor told Politico. “We’re looking at a target of 1 million. We’ve got over 3 million people eligible to vote, and that’s to say nothing of the 1.4 million returning citizens,” he added, referring to the former felons who are set to have their voting rights restored under a constitutional amendment Florida approved in last year’s midterm elections. Gillum unsuccessfully ran for governor of Florida last year against Republican Ron DeSantis, a Trump ally. Trump won Florida — which is considered a key battleground state — in 2016 and there is fear among Democrats that he could take the state again in 2020 if the eventual Democratic nominee cannot appeal to Florida voters sufficiently. The state is home to many Latino voters, particularly Cuban-Americans, as well as retirees. In last year’s midterms, many Florida races — including the race between Gillum and DeSantis — faced manual recounts following extremely narrow initial tallies of the total ballots cast for each candidate. The Florida Democratic Party has already announced it will spend $2 million over the next year to register 200,000 voters before the 2020 presidential primary. Currently, 4.96 million Democrats are registered in Florida, while 4.7 million Republicans are registered. Another 3.7 million Florida voters are not affiliated to either major party. Former New York City mayor Michael Bloomberg, who was projected to be a Democratic presidential candidate in 2020 but recently announced he will not run in the race, said he would fund a voter registration and turn-out initiative in Florida, Ohio, Wisconsin, Michigan and Pennsylvania, all of which are considered swing states. In many recent presidential elections, voter turnout has been substantially higher among Republicans than among Democrats. Despite this fact, Gillum sounded confident his plan will work, partly because he explained that in very simple terms, it’s a numbers issue.